So it’s payday. Let’s look at the basics: the top number on your paycheck is your gross income. From that, Uncle Sam takes his share in the form of taxes. What you’re left with is your take-home pay, otherwise known as disposable income or after-tax income. There are only two things you can do with your take-home pay: spend it or save it. If you spend more than you have, you’ll either have to sell your investments or go into debt. To avoid going into debt, it’s important to allocate your take-home pay to make sure you spend less than you take home. 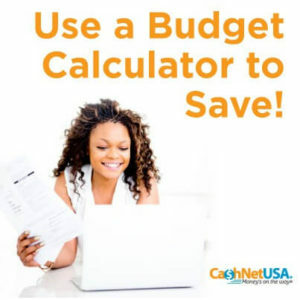 This is where CashNetUSA’s Budget Calculator can come in handy. 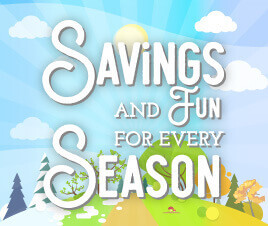 The calculator allows you to enter your monthly expenses and your monthly after-tax income. It will then tell you whether you are spending too much. Notice that the calculator doesn’t take into account your gross pay. What really matters to your budget is the money you actually take home — your after-tax income. This brings up a good point: the money you can spend. Think of it in terms of what you get to spend, not what you have to save. That creates a much more positive approach to budgeting. A budget shouldn’t be thought of as something that holds you back, but as a guide to controlling your spending. Your peace of mind will be greatly improved when you have control of your spending, knowing you actually have it to spend, rather than reacting when you receive the bill. A budget should be a continuous schedule, one that rolls from one month to the next. Think of it as a movie, as opposed to a picture. What’s left over in one month is added to next month’s budgeted amount. In the case of the first type of expense (a fixed expense), that won’t happen unless you don’t pay the expense. In other words, you may have $800 for rent; once it’s paid, there’s nothing left in the rent “bucket.” On the other hand, for all the other types of expenses, you may have some left over. For example, if you budget $200 for electricity, and the bill is actually $180, you have $20 left over that can be spent in the following month for a total of $220. It works the same for the third type of expense; suppose you have $180 budgeted for gasoline and it costs $50 to fill up your tank. After the first fill-up, you have $130 left in your gasoline “bucket.” During the month you make two more trips to the filling station for $50 each time, so at the end of the month you have $30 left to be added to the $180 budget for the next month. A “bucket” for the fourth type of expense simply builds until you pay it. What you’re doing is creating a monthly expense for those expenses that don’t occur regularly. So, if you plan on spending $600 during the holidays, you can budget $50 per month starting in January ($600 / 12 months) and when December rolls around you have the $600 to spend; once again, putting you in control of your spending. If you don’t track your spending, your money will disappear. By spending less than you take home you’ll be able to first pay off your debt, then invest for retirement. Retirement starts with budgeting so you can save money and start investing.